At Labrazel, they focus on the design and creation of luxury bath accessories. For over 15 years, their company has proudly offered elegant bathroom accessories for those who appreciate the finest products and demand the highest standards of quality from their decorative bathroom accessories. 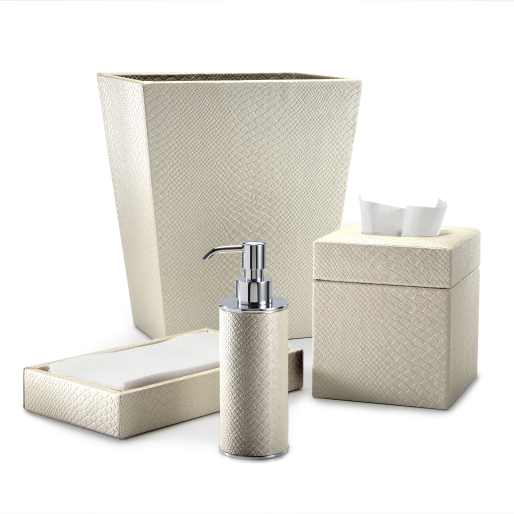 The Labrazel brand is recognized around the world for exceptional quality in bath accessories. Their beautiful and superbly crafted accessories are made from the world's most prized materials, including mouth-blown crystal and glass, world-renowned Italian marble, authentic gold and silver leaf, exotic wood and shell veneers, and much more.